CarPlan Winter Essentials Gift Pack contains everything the driver needs for those cold early morning starts. An ideal quirky and useful gift for the driver in your life. 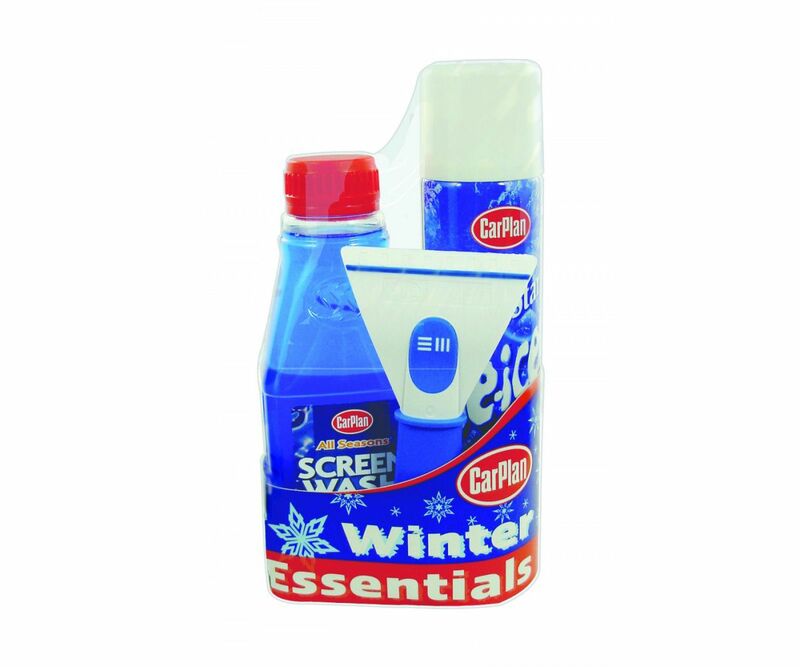 Packaged in a neat gift pack, CarPlan Winter Essentials Kit is perfect for the person who insists on practical presents. CarPlan All Seasons Screenwash 500ml - A concentrated high power windScreenwasher additive. CarPlan Easi Grip Ice Scraper - Clears the ice and snow from your windscreen with ease.